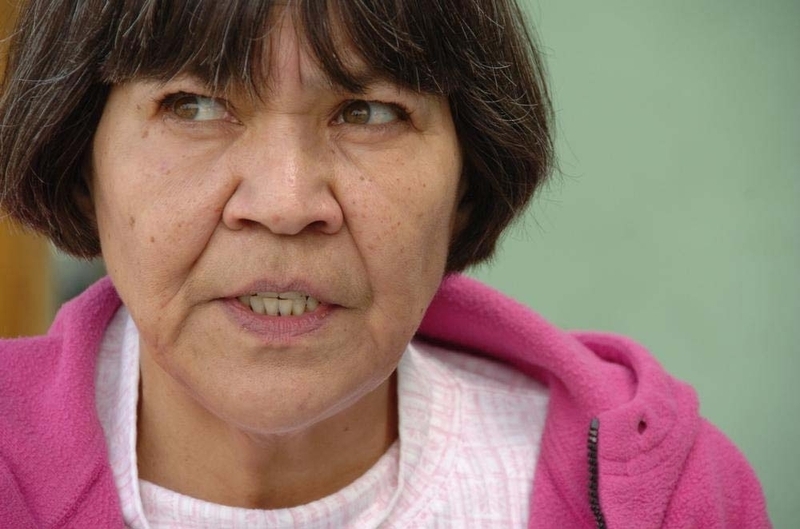 On February 8, 52-year-old Gwich’in and Yup’ik activist Desa Jacobsson started to fast in protest of “the comprehensive violation of subsistence rights and continued de-humanization” of Indigenous Peoples in Alaska by State Governor Sean Parnell, the Calista Corporation, and the Federal Subsistence Board. Anchorage, Alaska – On February 8, 2011, Alaska’s Big Village Network (ABVN) affiliate Desa Jacobsson began a fast in protest of the comprehensive violation of subsistence rights and continued de-humanization of Alaskan Natives by Governor Sean Parnell, Calista Corporation, and the Federal Subsistence Board. Ms. Jacobsson began the fast in order to raise awareness of archaic and repressive policies implemented and contrived under Governor Parnell and Federal program managers, as well as to press for sweeping measures that will formally recognize the inherent right of Alaskan Natives to live as sovereign Nations. Policies dictating the management of fish and game have been particularly onerous in removing Tribal government authority from the role of public trustee and the provisions of customary use of Alaska’s vital subsistence resources..
Jacobsson provided several examples of Alaskan Native rights being violated. Of note, Alaska House Bill 405 required Alaskan Natives to complete twelve steps, per species, with the approval of three boards, acting jointly, in order to harvest fish and game. Later, former Governor Tony Knowles introduced a “State/Tribal” plan for subsistence co-management. This “knit one-pearl two” strategy meant the state managed and Alaska Natives cooperated. The plan had the same elements as House Bill 405 and Tribes were limited to act in an advisory capacity to the State of Alaska. These state and federal policies reduce the dignity of the Elders and minimize the culture, customs and traditions of Alaska’s Indians, Eskimos and Aleuts. To devastating effect, the Bureau of Indian Affairs, Bureau of Land Management, US Forest Service, and US Fish and Wildlife Service take on the role of Elders and Traditional Council, and actual community Elders are forced to become no more than advisers to their families and tribal members. The situation is untenable and inexcusable. With delay and a lack of action expected from the notified parties, ABVN and other entities are planning an array of actions meant to raise the call of change and equal rights. Meanwhile, Desa Jacobsson will continue her fast until the assault on Alaskan Natives ceases. Reporters are encouraged to contact Jacobsson through Carl Wassilie.